The school year is in full swing. Before the fun of Winter Break, it’s time to take the new SAT this Saturday, December 3rd, 2016. 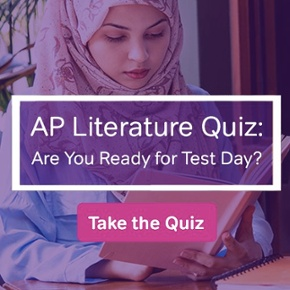 Have you prepared for the New SAT? You’ve hopefully already been doing some SAT prep… but more prep materials can’t hurt. Magoosh has you covered! First, drop by the Magoosh SAT Youtube Channel for lots of video lessons, tips and tricks to help you get a top score this Saturday. 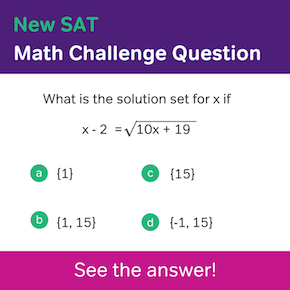 And be sure to check out all of our tips and tricks for the new format of the SAT, right here on the blog. Second, know what you’ll need on test day, so there’s no chance you’ll forget anything. We offer an SAT Test Day Checklist that tells you what to put your backpack this Friday night, so you’ll be ready to go on Saturday morning. Third, make sure you are healthy and focused. Make sure you have a healthy, energizing diet… even when you’re just eating snacks. 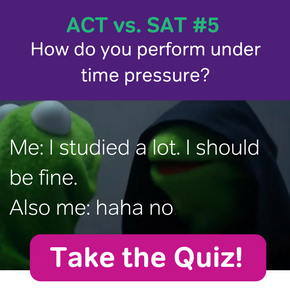 And keep calm and focused on your SAT goals–shut out other stresses about high school and college. Finally, when you study, make sure you stay alert and avoid distractions. Maybe you haven’t really studied yet. Or you don’t feel like you studied enough. Look at our SAT study schedules. 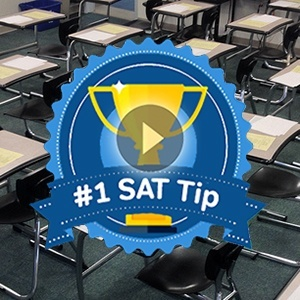 Go through some of the key activities this week for a quick boost in your SAT-smarts. Several days of good study can really serve you well this Saturday. And if you’re taking the New SAT as a junior, remember that you will have chances at a retake (or more than one retake) if you don’t hit your target score on October 1. You can find the complete list of SAT test dates here. Am I really ready for the New SAT? Should I just put it off for now? You might feel the urge to call off the exam this weekend, to just wait until some later time when you feel more “ready.” But our text experts at Magoosh think there are a lot of advantages to taking the New SAT sooner rather than later. For more information, read Chris’s article on waiting to take the New SAT. Hang tight– you’re almost there! You are less than a week away from being done with the test, and ready to enjoy a nice, worry-free summer vacation. It’ll be worth it; keep going! Are You Taking the May 2016 New SAT on Saturday?